The Snow Fairy shower gel is one of Lush's limited edition products. It is only available around the festive season. With Christmas only a few weeks away, I thought it would be a great time to feature this gorgeous product on my blog. Snow Fairy takes you out of your bathroom and into a candy filled, glittery world. 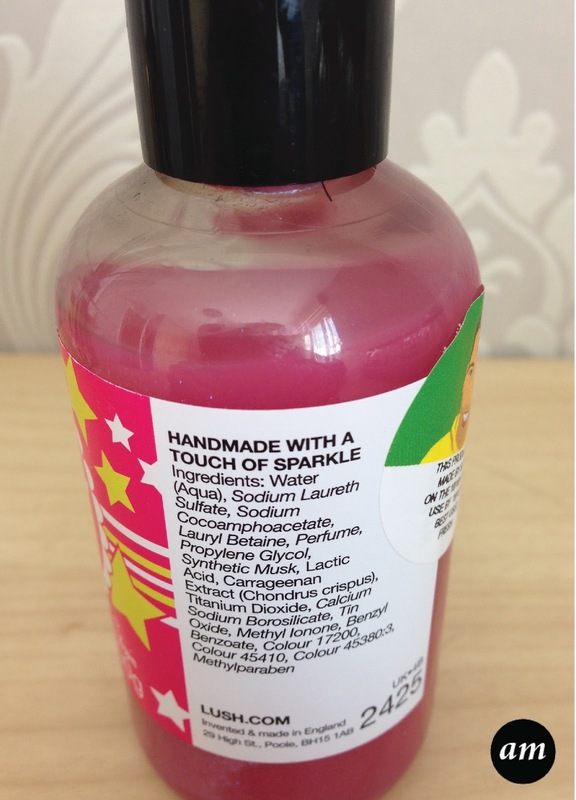 The shower gel is pink in colour and smells sweet like bubblegum and candy. The smell stays with you hours after use. It has small glittery, sparkly pieces in it which makes your body shine, without covering it in glitter. If you are wanting a lovely, delicious smelling shower gel to get you into the christmas spirit, then Snow Fairy is defiantly the one for you! I wish Lush sold it all year round! You can purchase it from any Lush stores or online at www.lush.com.